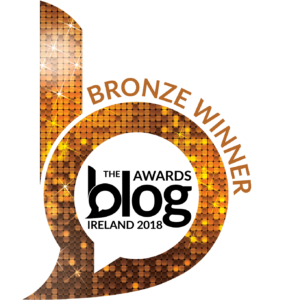 I moved to Northern Ireland 18 months ago (where has the time gone??) and thanks largely to geocaching, and also to playing host to visiting family and friends, I’ve managed to see a few of the country’s most scenic spots on more than one occasion. 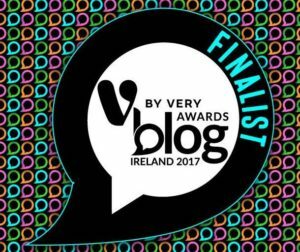 Since a few readers have asked me for advice on what to see, I’ve decided to write some posts on my recommendations. 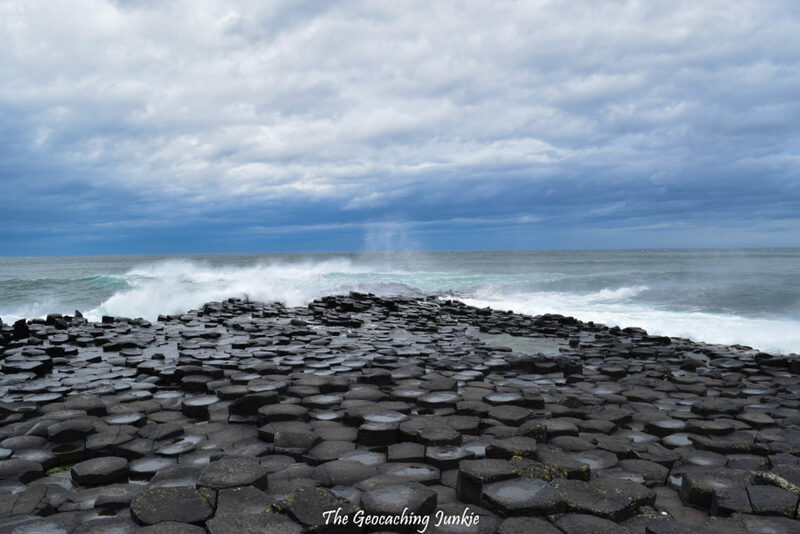 This first post will focus on a day trip to the most visited tourist attraction in Northern Ireland, the Giant’s Causeway, as well as some other nearby sights. 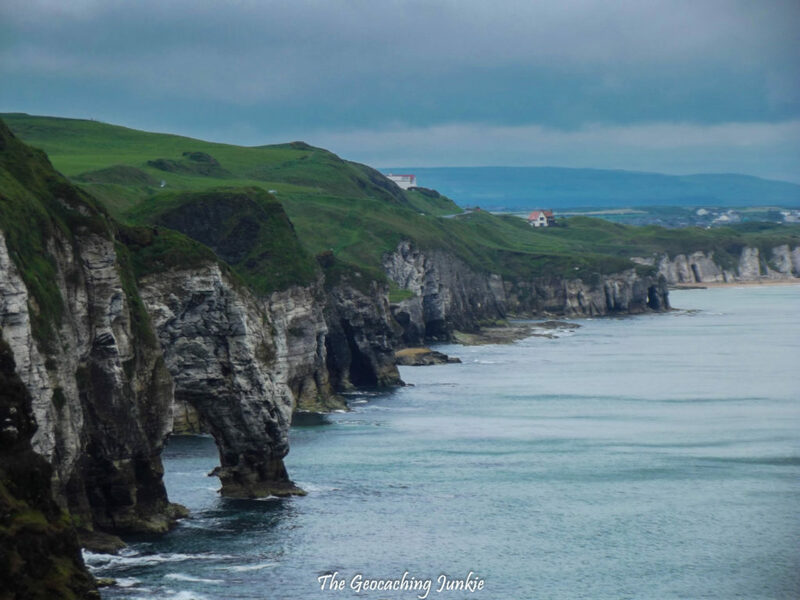 You could easily spend days or weeks on the North Antrim Coast and never get bored of the scenery and things to do, but if you’re like me, you may be short on time and long on ambition so I’ll map out a one-day road trip itinerary, which can be prolonged and added to, as you like. 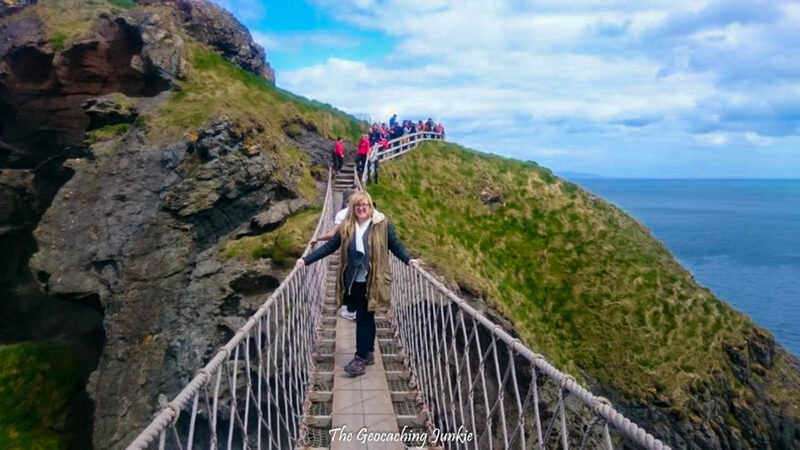 Driving from Belfast, you have two route options to get to the first stop on this itinerary: along the scenic Causeway Coastal Route (approximately 1 hour 50 minutes), or the more direct way via the M1, A26 and A4 (approximately 1 hour 15 minutes). Which way you choose will depend largely on how long you have to get there. In the summer, you can have up to 17 hours of daylight to play with, but in winter, you only have around 7 hours, depending on when you visit, so bear this in mind to plan your day. 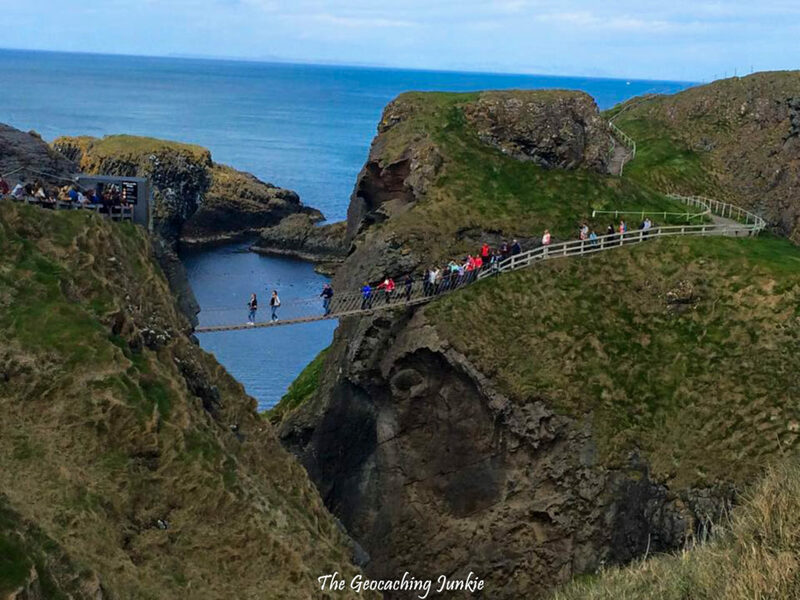 No visit to the North Antrim Coast would be complete without a stop off at the famous rope bridge linking the tiny island of Carrickarede to the mainland. The site is managed by the National Trust and is open year round to visitors (opening times vary depending on the season so check here for details). The bridge has existed in various forms for hundreds of years, as salmon fishermen created makeshift crossings to the island. 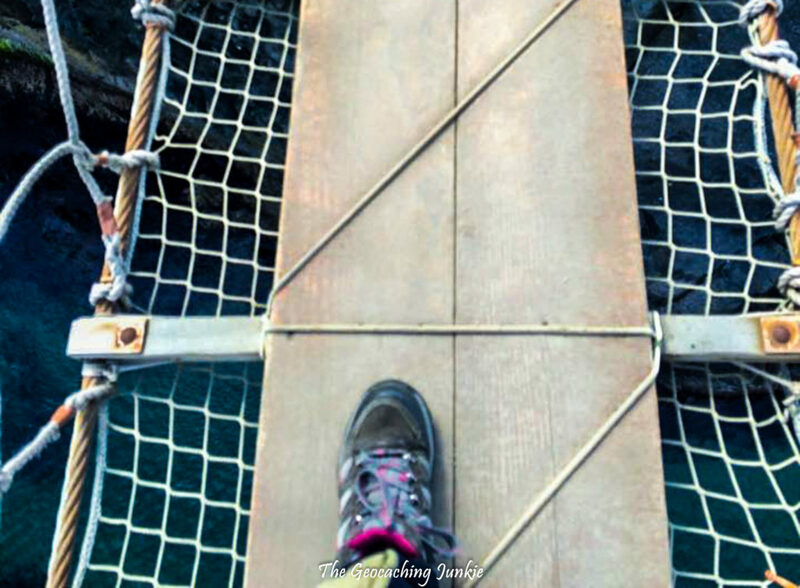 The current bridge is made of wire rope and Douglas fir wood and hangs 30 metres over the turquoise blue water and rocks below. A crossing on the 20-metre long bridge is probably best avoided if you’re afraid of heights, however, even if you don’t cross, it’s worth going to see the bridge from the various viewpoints. If you do decide to cross but are in any way nervous, note that other people are on the bridge at the same time and may start moving the bridge by bouncing on it – it can be quite shaky even without such stupidity, so be prepared! Unfortunately, geocaches are not allowed at this National Trust property. 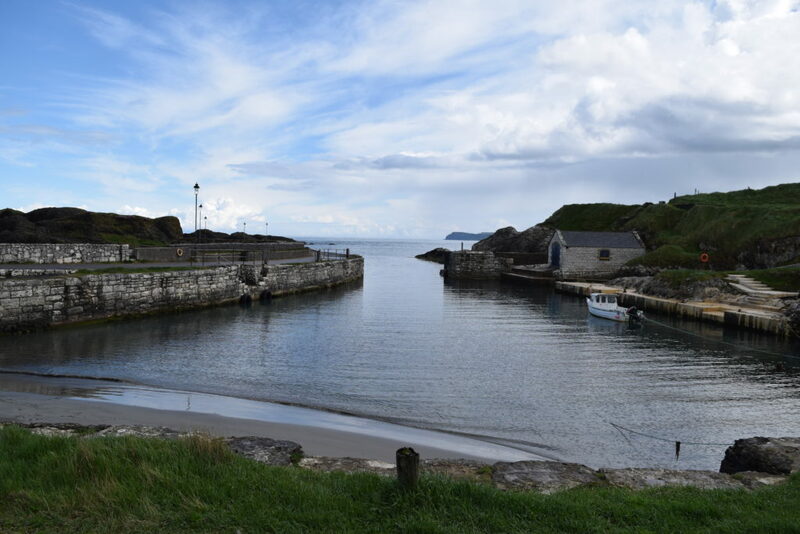 If you have time, a drive down the winding road to the picturesque harbour at Ballintoy is well worth the detour. The harbour is actually a raised beach and is still used by local fishermen, mainly for salmon and lobster fishing. Game of Thrones fans may recognise the tiny harbour as the location of the Iron Islands. A fleeting stop at this viewpoint is enough to check out the wonderful panoramic views over Whitepark Bay. The golden sand dunes and turquoise waters of the bay are framed by headlands on either side, creating a dramatic vista from above. 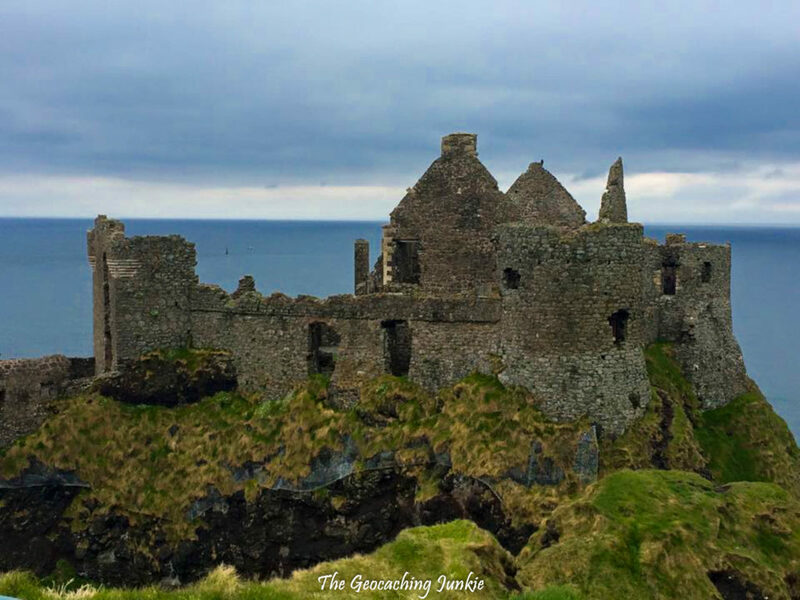 Protruding in to the sea atop a rocky outcrop, Dunluce Castle is a particularly dramatic example of a medieval ruin. 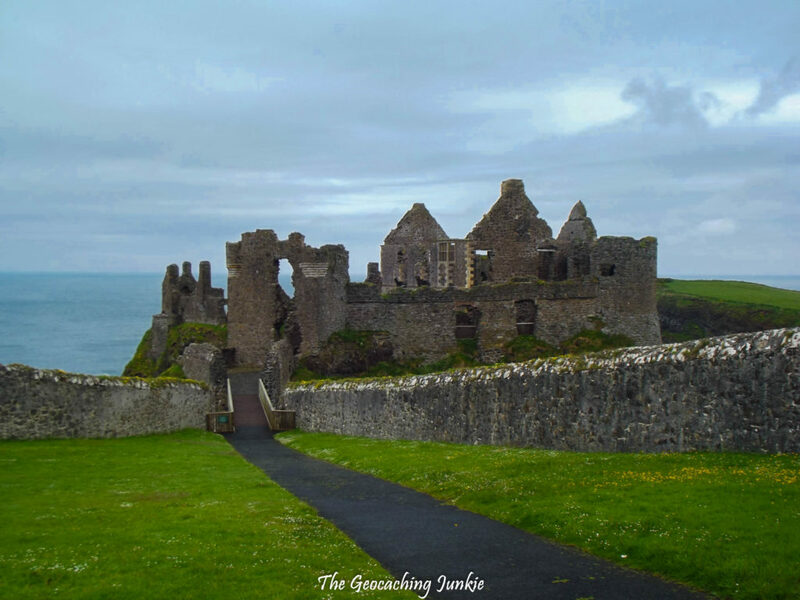 The first castle was built here in the 13th century by the Earl of Ulster, and has been home to various lords, chiefs and earls until 1690, when the castle was finally vacated and began to deteriorate. The history of the castle is fascinating, and the views from all sides of the building are worth the entrance fee alone. 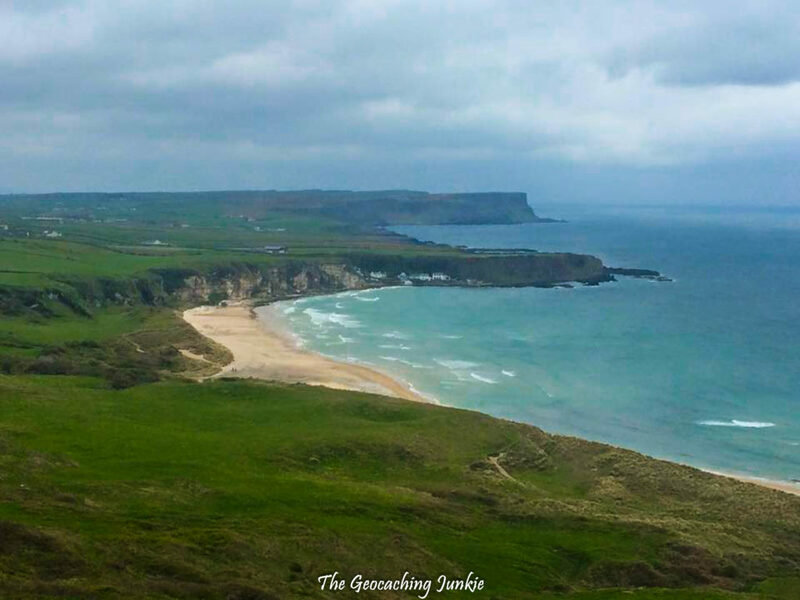 Another magnificent viewpoint, just along the road from Dunluce Castle. This large car park affords great views of the white chalk cliffs of White Rocks to the west. If you have time, it’s worth stopping the car and stretching your legs at White Rocks beach itself, and admiring the impressive sea stacks, arches and caves of white chalk along the sandy beach. The cliffs are rich in fossils, and if you take a closer look, you might see some. Don’t remove any rocks or fossils from the beach though, as it’s an Area of Special Scientific Interest. Before heading back east towards the Giant’s Causeway, I highly recommend a stop for lunch in the seaside resort town of Portrush. A lovely place to stroll around, you could easily spend a whole day here but a 1-day itinerary calls for a quick stop only, so head for 55 Degrees North, right by the sea on Causeway Street. If you’re lucky enough to nab a table at the window, you can enjoy sea views with your lunch. 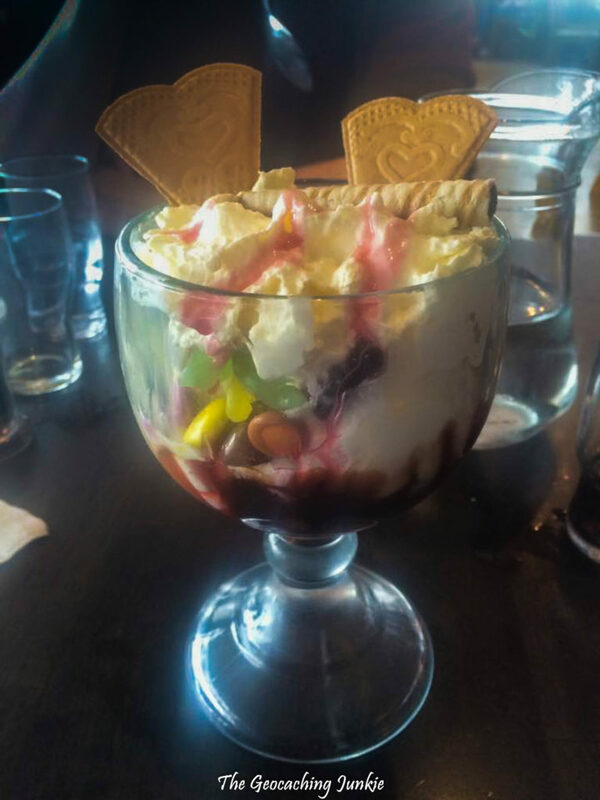 Make sure you finish off with one of their amazing sundaes – made for sharing, if you’re feeling generous! 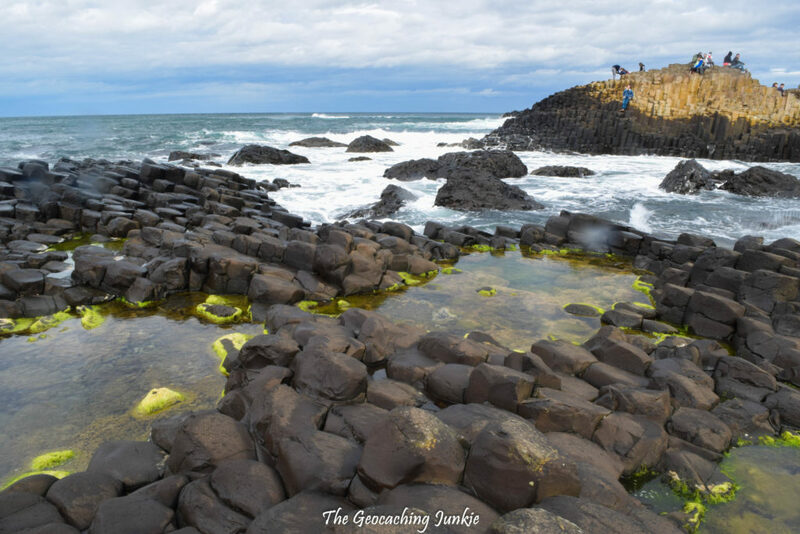 Last stop of the day is the Giant’s Causeway: saving the best for last perhaps? The reason I’ve put this at the end of the day is so you can take advantage of the great views at sunset. 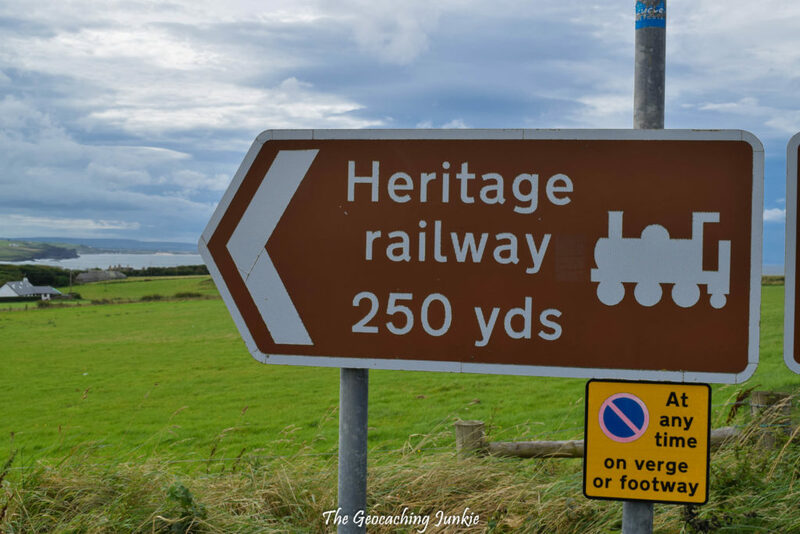 You have two options to park here: you can choose to buy tickets for the Giant’s Causeway Visitor Centre, which includes the price of parking and an audio tour or you can park at the Heritage Railway just a few hundred metres down the road at a cost of £6 for the entire day. The best value of the ticket price for me is definitely the audio tour, which is very informative and explains the legends associated with the site. If you do decide to purchase tickets, make sure you buy them online in advance for the best price. If you do stay until sunset, be extremely careful on the rocks as they can be slippy even in the best of conditions (check opening times for the railway car park if you choose to stay late). The shuttle bus to and from the famous stones comes at an additional charge, but may be needed by some people as the walk from the visitor centre is a mile each way and fairly uphill on the return. I have heard people express their disappointment about the Giant’s Causeway, some saying it was smaller than they thought. It’s by no means a vast area but what is there is breathtaking and displays the mastery of Mother Nature at her very best. I have been there several times but each time it presents something new to see and a fresh perspective to be gained. 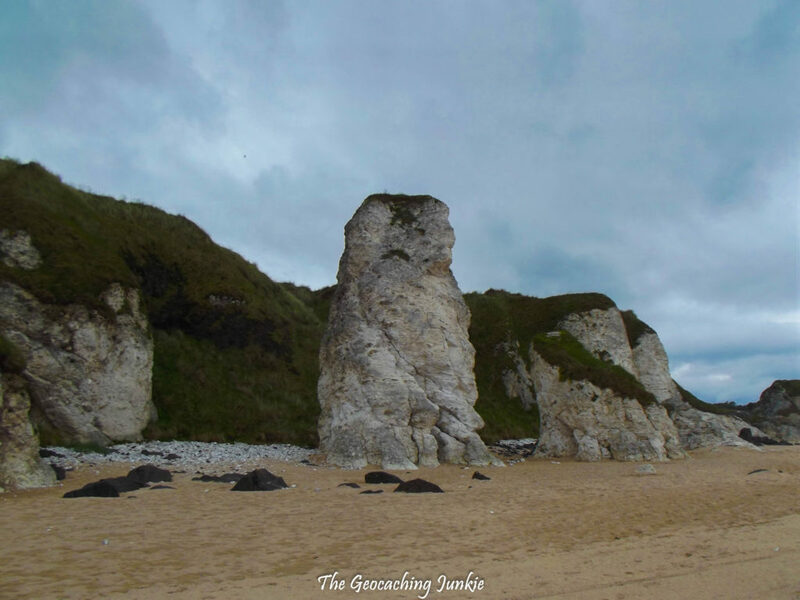 I hope you find this one day intinerary useful if you’re planning a trip to the North Antrim Coast. 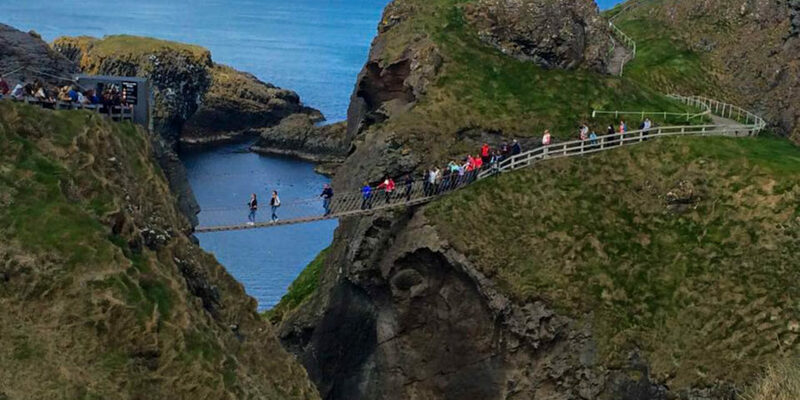 Lonely Planet recently named Belfast and the Causeway Coast as the number one region to visit in 2018. Have you visited this area before? What was your highlight? Let me know in the comments! 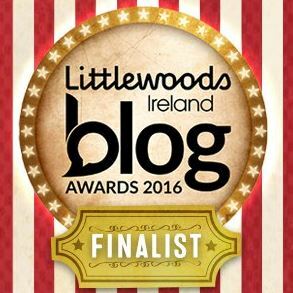 Never noticed, just thought Giant’s Causeway would be on a new blog. Can never tire of the North Coast, love it and can highly recommend a visit there. Thanks for the armchair visit on a windy wet night. It’s a miracle that it was literally only the last section I had left to do when I pressed ‘publish’ 🙂 Thanks for your comment!